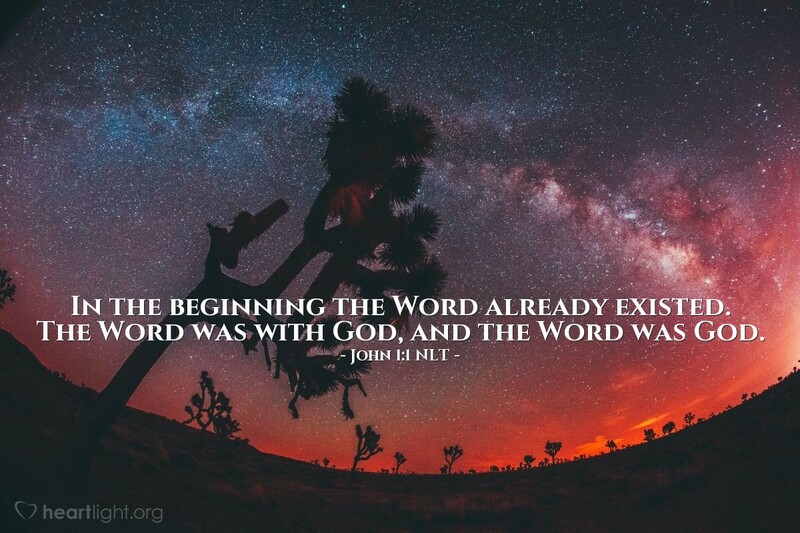 What a strange way to begin a story: "In the beginning the Word already existed." But that statement's true because that Word is Jesus! When God wanted to tell human beings about himself, when he wanted to give us good news about salvation, when he wanted to give us a message about his love for us, he sent Jesus. Jesus is God's Word — his Message. And this Word was with the Father all along. In fact, he was "in very nature God" (Philippians 2:6 NIV). Jesus is God come to us as Savior, in human flesh. He is God with us, the Messenger of all messengers and the Message of all messages. Thank you, Father in heaven, for giving me a message that I can understand. Thank you for giving me a message that I can see in action. Thank you for Jesus and all he is to me. Thank you for your message of love, salvation, and grace. In Jesus' name, I pray. Amen.